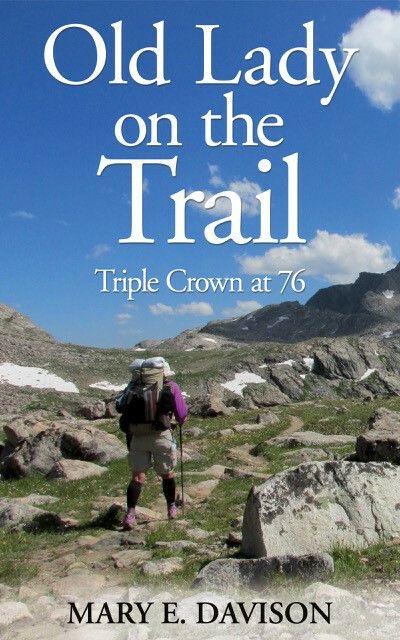 Coming up fast for those in the Seattle/Lynnwood area: This Sunday, March 3, I am giving a presentation about hiking the Triple Crown at Trinity Lutheran Church, 6215 196th St SW, Lynnwood, WA 98036. It is a potluck beginning at 11:45 and ending at approximately 2:00. It will have oodles of pictures for those who have missed having any in the book. All are welcome. Reminder to those in the greater Tacoma area: Book signing this Sunday, February 24, at Resurrection Lutheran Church, 4301 Browns Point Blvd NE, Tacoma, WA between 2:00 and 3:30. Refreshments will be served, many pictures shared, books available for purchase and a question and answer session with Mary. Should be fun! And a new podcast is out – this one with Wanderers:life on the Road with Jarrod Ross. http://www.fulltimewanderers.com/podcast Each podcast is different as each person who interviews me is different. Both podcasts I have now done have been fun for me and I hope you enjoy them too. Another book signing is coming up Sunday, February 24, at Resurrection Lutheran Church, 4301 Browns Point Blvd NE, Tacoma, WA, from 2:00 to 3:30. Refreshments will be served. Some of Mary’s pictures of her trips on Triple Crown Trails will be on a powerpoint to view. And she will host a question and answer session after personalizing your copies of Old Lady on the Trail.